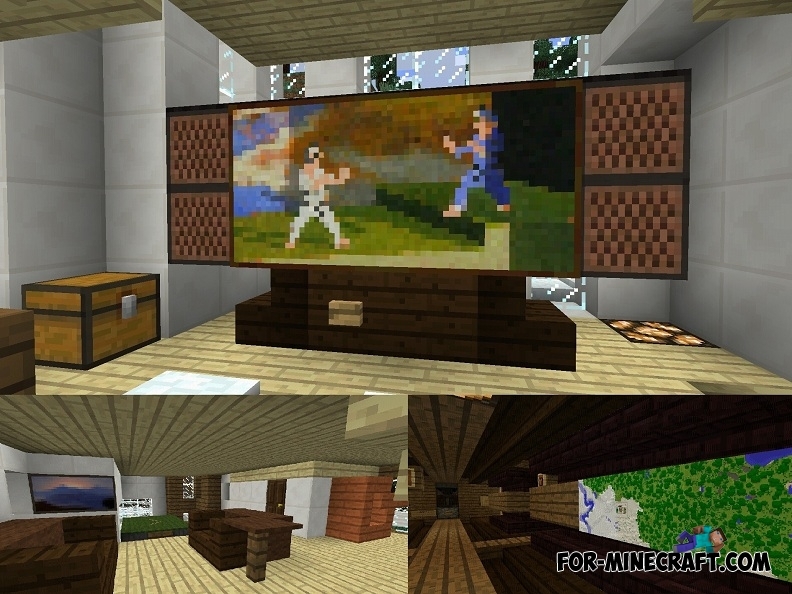 Awesome map for Minecraft Pocket Edition 0.14 with advanced mechanical house that can perform many functions. Give yourself automatically armor, items, cook quickly potions and open the chest with a combination lock to get the valuable items! 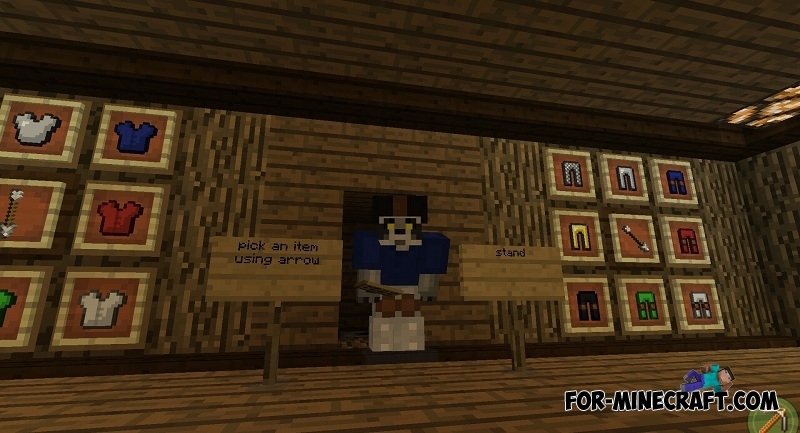 Getting of armor: Use the arrows on the item frame to select the required armor. Then stand in the doorway, and then press the button. Wait 10-20 seconds to complete the process of obtaining your armor. 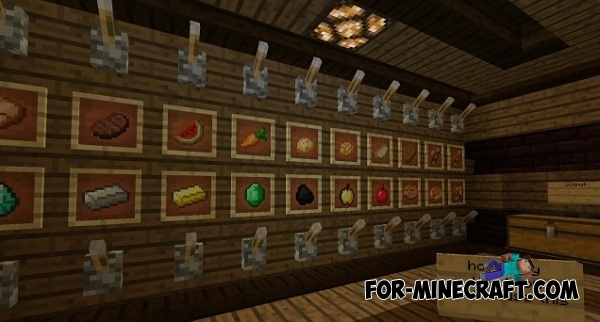 Vending Machine: Use the lever to select the desired items and then collect them in the chest. Do not forget to return the levers to their original position. Potion crafting: through this mechanism, you can make your own quickly and automatically the necessary potion. Simply select the desired ingredients with the help of arrows on the item frame, and then take potions from brewing stand. Chest with a combination lock: this chest can be used for storage of valuable items. Use the frame to unlock it, it's very simple! In the future, the house will have even more mechanisms! Open the map and enjoy it! EVERY TIMES I Enter the map The Game Is Crash...But WHY?